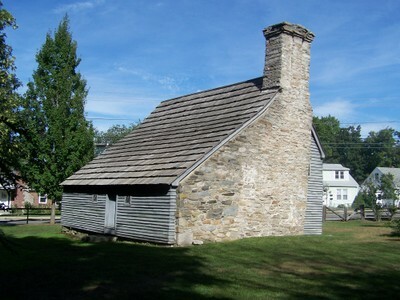 Historic New England recently secured a $29,780 grant from the Rhode Island Historical Preservation & Heritage Commission’s State Preservation Grants Program for the 1691 Clemence-Irons House in Johnston. mortar analysis and spot re-pointing of the house’s stone end, including repair of the decorative corbeling at the top of the chimney. The work is scheduled to take place this summer. Clemence-Irons House is an excellent example of a stone-ender, a once common but now rare seventeenth-century building type. Help support the preservation of Clemence-Irons House and other one-of-a-kind historic sites with a gift to the Preservation Maintenance Fund.